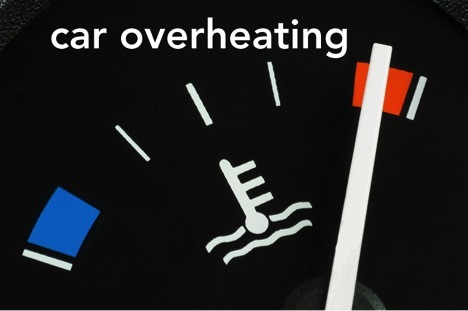 With summer on its way, temperatures are rising – and the risk of your car overheating is on an upward trend as well. After all, if your car is baking in the sun at 90 to 100 degrees and the engine hasn’t even been turned on, you’re working at a significant disadvantage. There are plenty of factors outside of the external temperature, however, that can contribute to your car’s risk of overheating, and most of them are preventable if you know what to look for. Keep an eye on your check engine light, and before you hit the road for a summer road trip, give your car a complete checkup. You don’t want to be stuck on the side of the road with your engine billowing steam. Your engine’s water punch is typically considered to be the most important part of your car’s cooling system because it controls the flow of coolant through the whole system. When your water pump is unstable, there’s internal erosion, or if the system becomes contaminated, the pump may stop working correctly. If you engine overheats, always check the water pump first because without proper pump function, there’s no hope of getting your engine working again. 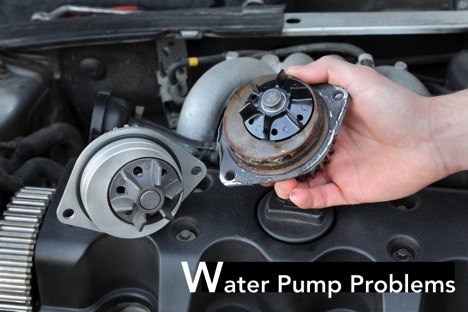 Proper belt function is closely related to how well your water pump works. The engine belt turns the water pump to move the coolant through the system. If the engine belt is loose or broken, the pump won’t turn and won’t propel the coolant. Make sure to tighten or replace broken belts to keep everything cool and avoid bigger engine problems. One of the most common reasons that your engine may overheat is due to a malfunctioning thermostat – but the thermostat inside your car is rather different from the one in your house. In your home, your thermostat keeps track of the temperature and triggers the heat or air conditioning system to turn on, depending on its settings. But if your house gets too hot and nothing happens, you’ll notice and open some windows, turn on fans, or take other steps to fix the problem, even if you have to wait for a repairman. When your engine gets too hot, however, you can’t do anything to remedy the problem. That’s because your engine thermostat is actually a valve that controls the flow of coolant. When the engine gets hot, the valve opens and coolant flows through to reduce the engine temperature, while a cool engine has a closed valve that blocks the flow of coolant and helps a cold engine warm up. A broken thermostat might be stuck in the closed position, causing the engine to warm up – and then keep going. No matter how hot the engine gets, the coolant is unable to pass through. This is a real problem and can cause your engine to overheat rapidly. If your thermostat is working properly, there are other coolant related issues that can cause your engine to overheat. Your coolant passageways might be blocked with rust or other engine sediment or there may not be enough coolant in the engine. Often, coolant levels drop due to a leak. Keep an eye out for any puddles near your vehicle that could indicate a leak and replace it right away while seeking professional help. Leaks can occur in many different parts of the engine and can be very difficult to find. Don’t try to repair a cooling system leak on your home. The proper functioning of your cooling system is vital and it’s easy to miss the root cause of a leak. Additionally, if your coolant isn’t diluted to the correct concentration, this can also predispose your engine to overheating. You also may be using the wrong type of coolant for your engine. If you’re not sure what type of coolant to use, consult your vehicle’s manual or a mechanic for help. Your radiator is responsible for cooling down the engine coolant as it passes through. This means that proper radiator function is vital to maintaining the engine temperature. When a radiator problem is causing your engine to overheat, one of the first things you should check is the radiator fan and all of the fan parts. If your fan isn’t working correctly due to a broken fan blade or unstable connection, this can prevent the radiator from reducing the coolant temperature adequately. The fan may also spin when the engine is off, and that won’t help very much when it comes to keeping things cool. If your engine does begin to overheat while you’re on the road, it’s important not to try to push the vehicle through to the next service station. Instead, stop the car and attempt a few quick fixes first. You should always make sure to keep extra coolant and water in the trunk of your car and try adding those first if your engine begins to overheat. Your coolant level may just be a little too low. If this doesn’t work, turn off the air conditioner and turn on your heat. This may seem counterintuitive, but turning on the heat can help shift the heat away from your engine. After a few miles, you can turn it off and check how the engine is doing. One thing you should avoid doing if your engine overheats is pouring cold water into the hot radiator. A sudden temperature change may damage the radiator; it’s better to add the water to a cool radiator to prevent cracks or other temperature-induced damage. Whether you desire a multi-state road trip or you’re just cruising the neighborhood streets, your car deserves top-notch care. That’s why you should take it to The Garage. At The Garage Auto Repair, we provide your car with expert service through regularly scheduled maintenance and on the spot troubleshooting. There’s no job too big or too small for our professionals. 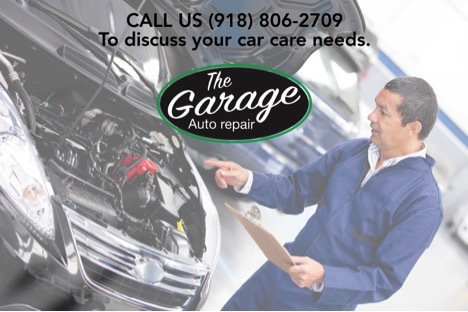 Call The Garage Auto Repair today to discuss your car care needs with our mechanics. We’ll help you get back on the road quickly and running smoother than ever – ready for your next big adventure.